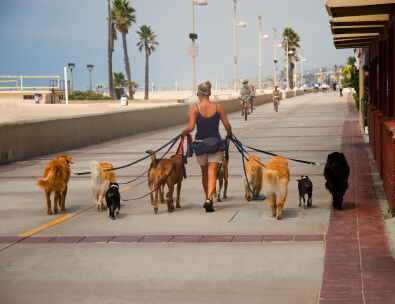 Many dog owners can attest to the fact that taking Fido for a walk can be a real drag, primarily because many dogs pull their owners as if they are hoping for a first place Iditarod finish. This is particularly true of large breed dogs, but there are a few smaller breeds that can pull with the best of them. There are a variety of ways to help with this issue, including appropriate training, but there are also certain leashes and harnesses designed to prevent Fido from dragging you down the block. 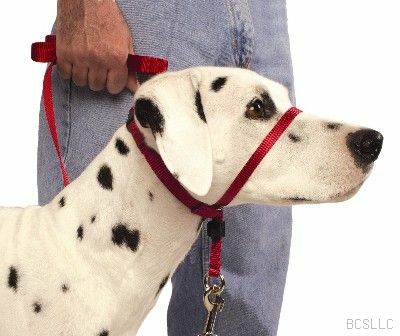 Unfortunately, instead of enlisting a respected dog trainer to teach Fido how to walk appropriately, many owners resort to choke and prong collars to control Fido on leash walks. 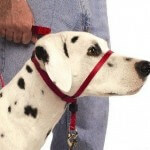 I blogged previously that we in the veterinary profession have a strong distaste for retractable leashes; the same distaste equally applies to prong and choke collars. The theory behind these collars is that they cut off Fido’s ability to breathe, by putting significant pressure on his trachea (or windpipe), to the point at which the trachea can collapse. Prolonged use of these collars can permanently damage the trachea. These collars can also pinch and harm the skin on Fido’s neck, as well as pinch the fingers of anyone who tries to remove the collar. Choking Fido into submission is not the ideal way to teach him to walk on a leash. 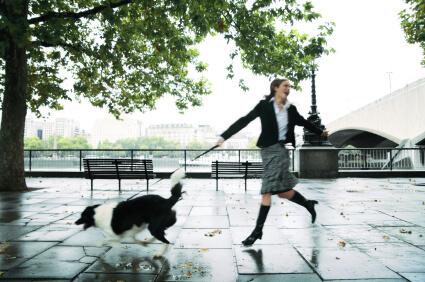 The best way to stop Fido from pulling on the leash is to train him how to walk appropriately. Time spent with a respected dog trainer who uses positive reinforcement, and never punishment, will be worth every cent when Fido can walk happily through the neighborhood without dislocating your shoulder. Your veterinarian will be happy to provide references for well-regarded trainers in the area. If the Gentle Leader does not seem like an appropriate choice, consider a no-pull harness like those made by Gentle Leader and Freedom. These harnesses are fitted in front of the shoulders, and across the chest, thereby restricting the forward movement of the front limbs enough to prevent pulling. 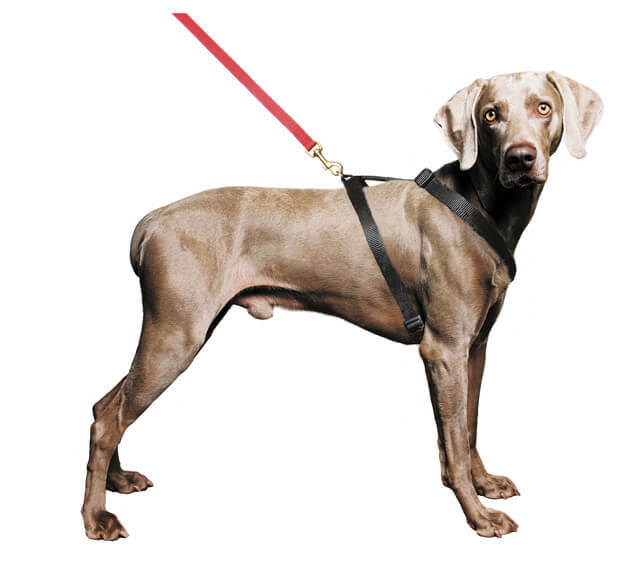 It should be mentioned that most traditional harnesses are designed to HELP dogs pull; by distributing weight evenly across Fido’s back, traditional harnesses enable him to pull more. Think of our Iditarod dogs…they wear harnesses to help pull sleds hundreds of miles. 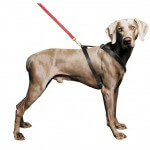 Only specific harnesses, labeled as “no pull” will slow Fido down enough that you can walk him appropriately. There are a variety of these harnesses available in pet stores; you may need to experiment with different types to see which works best. Finally, a word about shock collars. Thankfully, we see these devices rarely; they are considered painful, harmful and dangerous by the majority of veterinary professionals. Shock collars are used most often to stop dogs from barking, but I know some trainers who recommend them to prevent dogs from pulling on the leash. As the name suggests, these collars deliver a painful electric shock to the dog’s neck when a trainer or owner pushes a button on a remote control device. Shocking a dog into behaving properly destroys the human/animal bond, and in many cases creates severe anxiety, and sometimes aggression. Under no circumstances are shock collars recommended. OUCH. OUCH. OUCH. Enough said. 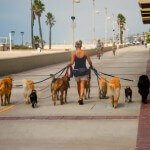 Most pet stores and internet pet merchants sell “no pull” harnesses and collars. It may be best to purchase these products in the store so you can make sure they fit Fido appropriately. Fit is key with these products, to make them effective without causing discomfort. Now let’s go for a walk!